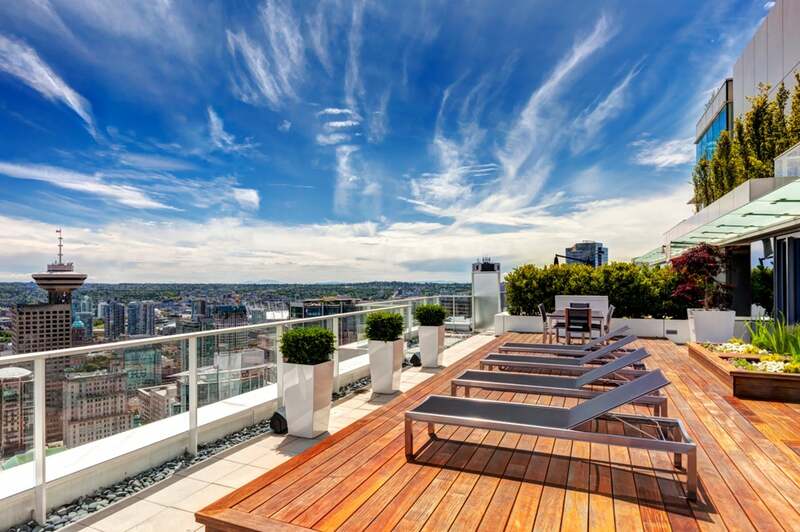 This luxurious 2,669 sf unit features 2 bedrooms, + den and 3 bathrooms (2 ensuite and 1 powder room). Massive entry doors open to a grand welcome area, and into an open plan living room, dining room, kitchen and TV/sitting area. This coveted floor plan in bright and private, and includes two convenient parking stalls close to elevators. One of a kind, ultramodern, luxury residence distinctly designed to capture and maximize incredible northwest facing mountain and water views. Floor Area 2,669 Sq. Ft.